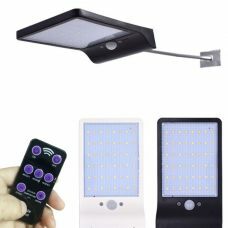 Universal portable 48 LED Solar Powered Shed Bar Light with adjustable lighting brightness mode is fully independent of the grid lamp suitable for indoor and outdoor. It has two charging options: via Solar Panel or regular DC charging. 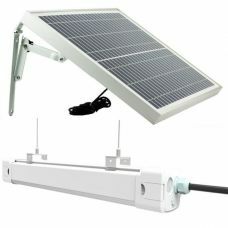 Detached Solar Panel makes the light bar ideal for garden sheds, garages & storages, verandas, balconies, camping tents & other places in shade areas or even indoor. It comes with a base stand, hook & wall hanging hole for flexible installation & use. 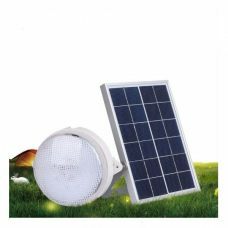 Universal portable 48 LED Solar Powered Shed Bar light with adjustable brightness and detached Solar Panel is an innovative lighting device with multiple features suitable for indoor and outdoor use. It has two charging options: solar powered and regular DC charging via cable and is capable to perform up to 12 hours when fully charged. 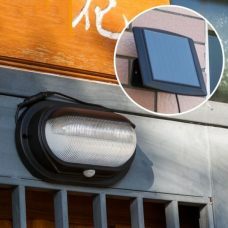 The shed LED bar light is designed for outdoor use with enhanced water and heat protection and does not require any additional electric wires or other sources of energy. However, the solar panel is detached from the light body to provide flexibility in running the light even in an indoor environment. 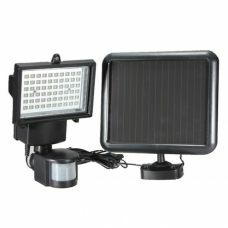 The product is convenient for areas that do not have sufficient sunlight to recharge the battery. The lighting body can be installed separately to a ceiling or a wall away from the solar panel that can be placed under direct sun. 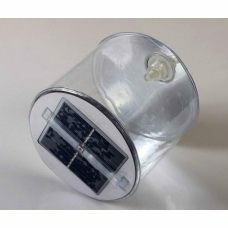 The portable shed bar light has an energy-efficient solar panel that absorbs the sunlight during the day and converts it into the energy which stores at rechargeable Li-Ion battery to power the light up when needed. LED Bar Light is easy to install, operate and maintain. The light provides suitable illumination across a wide area and is perfect to maintain lighting in a garden shed or storage, patio, veranda and garage, inside of the tent, campervan or any other locations that can be limited with the direct sun access. - Two major charging modes including eco-friendly solar panel one and regular DC charging make the power-up process convenient, fast and suitable for the different environment. - Detached Solar Panel design with an extension cord to provide enough sunlight even at locations covered by shade. - Long-lasting lighting, up to 12 hours of performance on fully charged battery. - Suitable for indoor and outdoor use. Waterproof and heatproof: enhanced water and weather resistance. Appropriate for a bedroom, living room, study room, corridor, warehouse, camping or other places. - Easy to install, setup and operate. The light comes with a base stand, hook and a wall hanging hole that is suitable for various environments and convenient to use. - No maintenance cost. User-friendly design, no wiring or any professional installation needed. 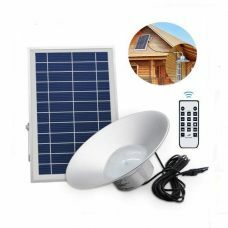 Ideal for: can be widely used for lighting up areas around a house including garage, basement, fence, patios, garden, roof, stairway, driveways and other outdoor places. It is suitable for indoor locations like garden sheds and storages, garages, stables, tents, summer kitchens, campervans etc. For whom: for someone who is looking for a smart and efficient way organize and maintain lighting around or inside of a property in a complicated environment, for example, due to limited direct sunlight in a particular area or corner. Portable design and option to pre-charge the device at home make it convenient to carry the light around and take for camping, fishing or any other outdoor activity. Easy to install. It works well. Interesting light. I got it for my garden storage shed, but already took it couple times for overnight camping. 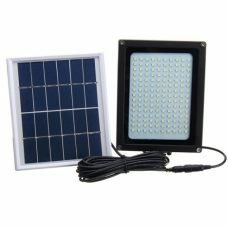 It can be pre-charged with the grid and when you are away from the electricity, you can use the solar panel. Changeable lighting modes, light in weight so it is easy to carry.